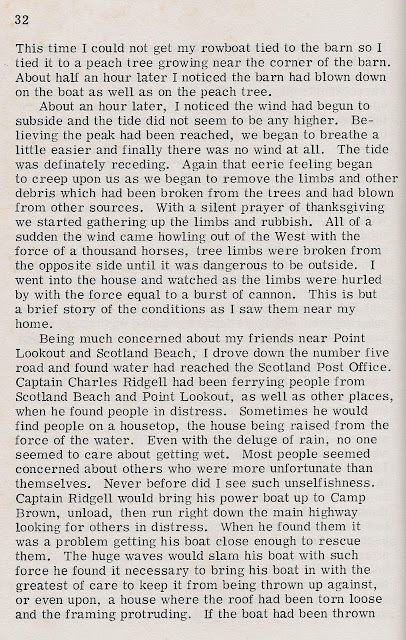 Mentioning 33 reminded me of something the old timers in Buzzy's Country Store often talked about when the subject of naming hurricanes came up - the Great Storm of 1933. 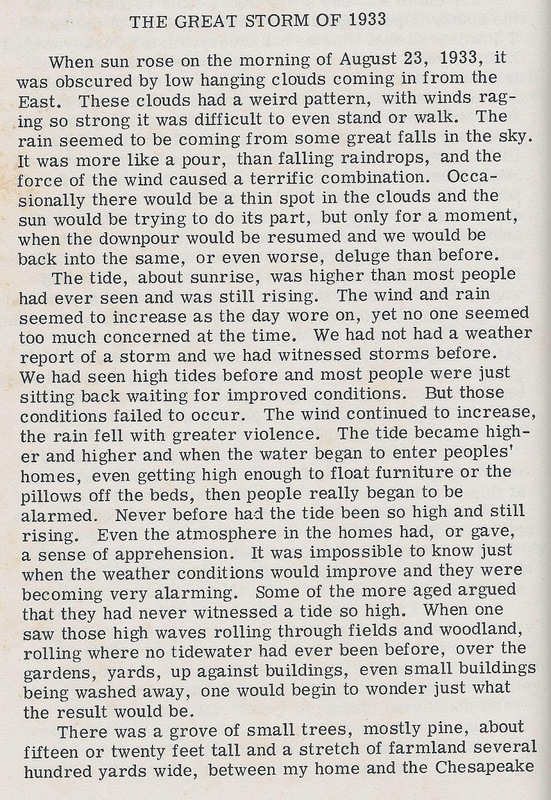 It was a hurricane no doubt about it they said. 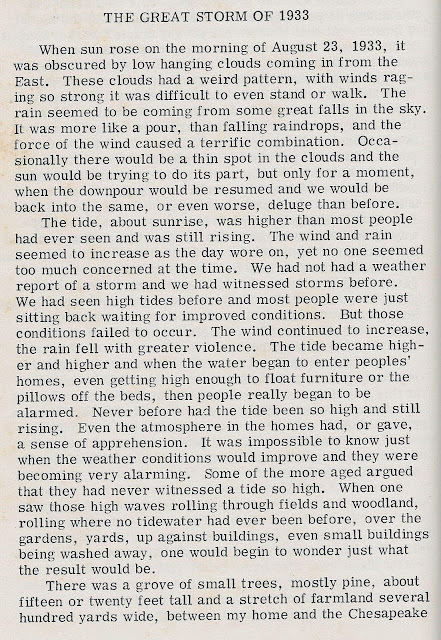 However, because the naming of hurricanes did not start until 1953, whatever hit us in 33 is known simply as The Great Storm of 33. 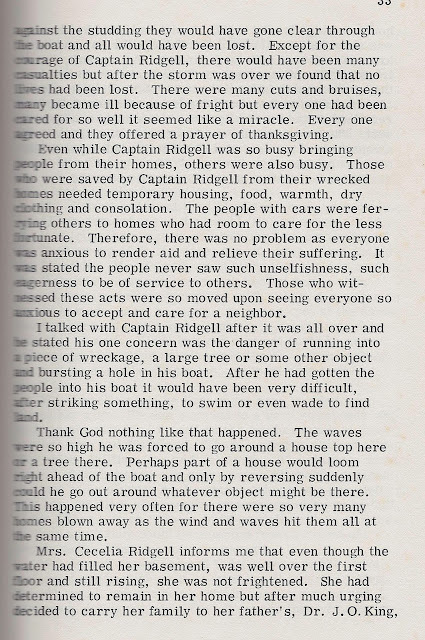 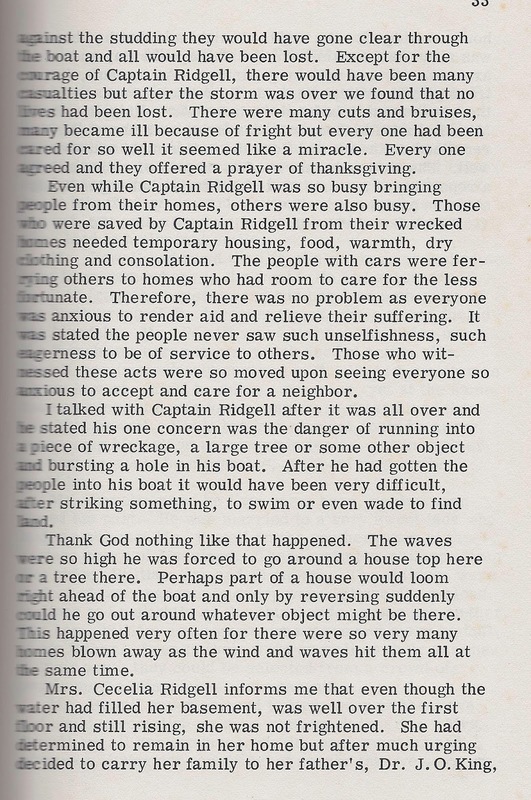 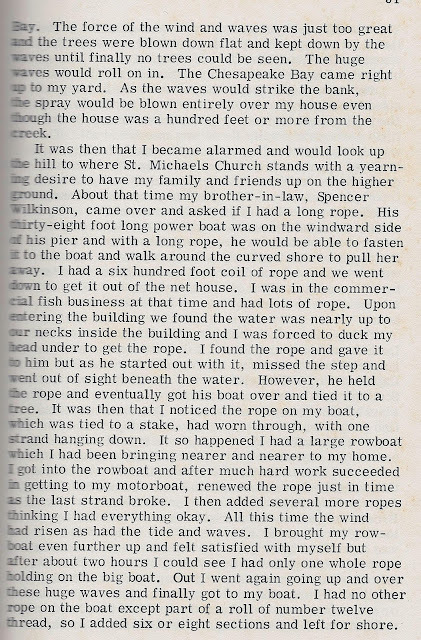 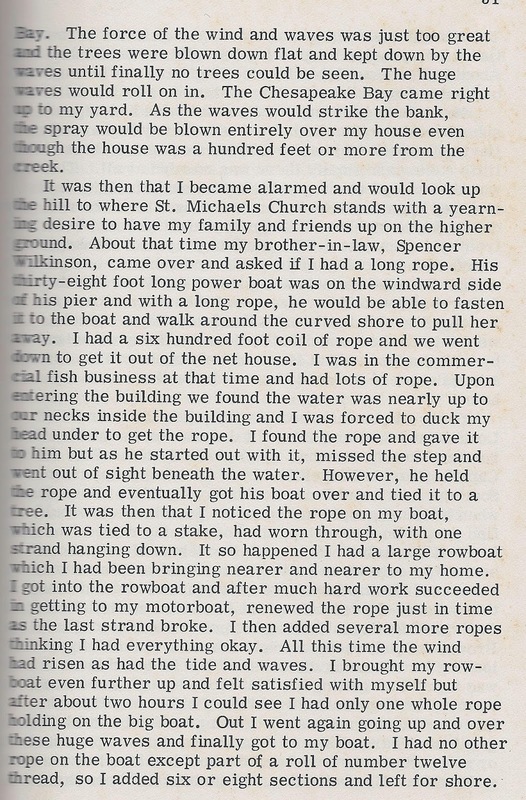 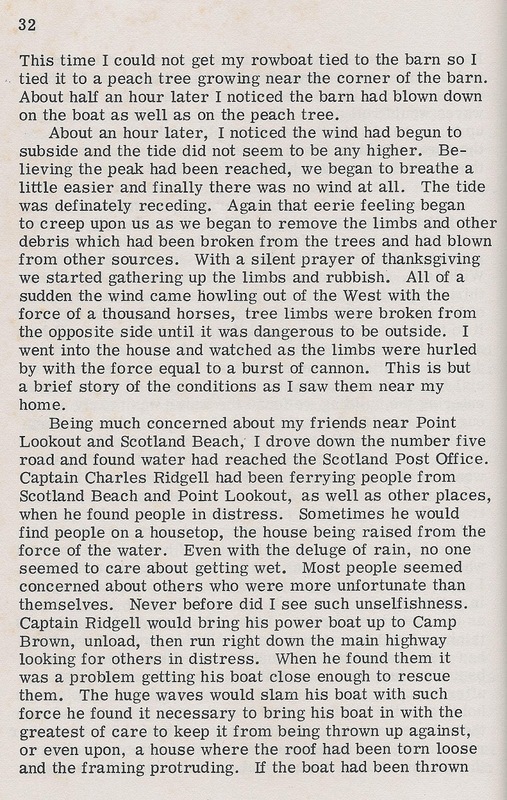 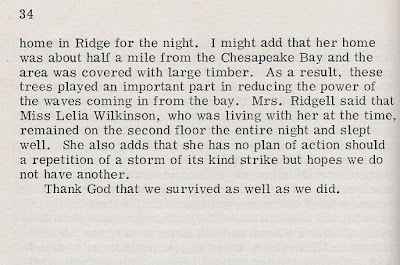 However, I do have my copy of Mr. Clarence Bradburn's account of the 1933 Storm in his book Some Important People and Events of St. Mary's.